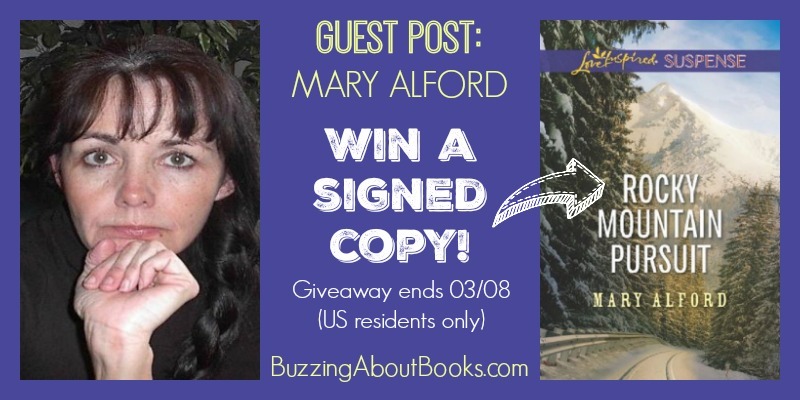 I’m happy to welcome Mary Alford to Buzzing About Books! 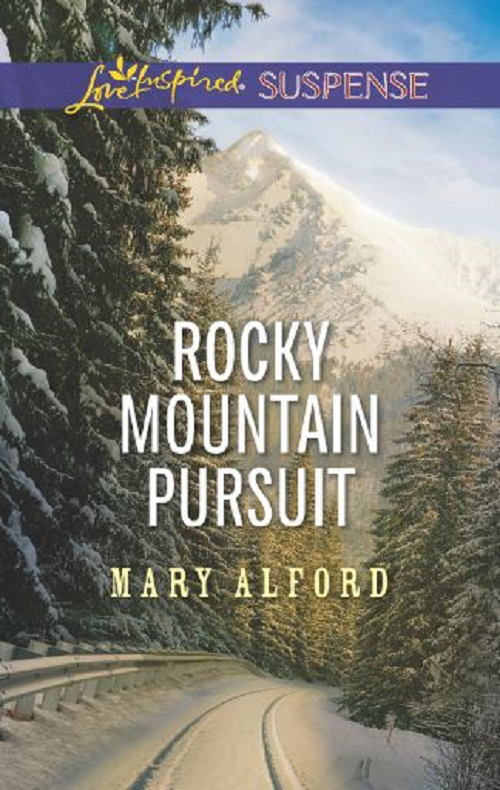 Thanks so much for visiting with us today, Mary, and for graciously offering a copy of Rocky Mountain Pursuit to one of my readers! 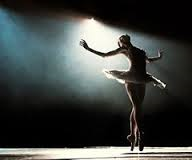 A few years ago, my oldest granddaughter was certain she wanted to be a dancer after she watched Angelina Ballerina. Unfortunately, for the dancing world that has since changed many times over. I was about my granddaughter’s age when I read my first Nancy Drew mystery and knew that I wanted to create stories when I grew up. That was it. Career settled. Life put into place. If only it were that easy. At the time, I had no idea I was about to embark on the dance of a lifetime. 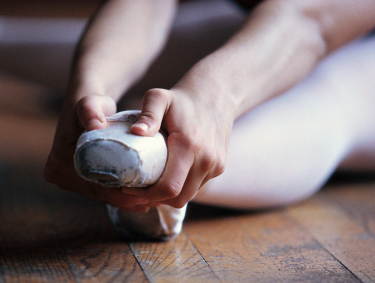 Just like dancing, writing requires a lot of discipline and training. First, you must learn the proper steps: There is nothing scarier than sitting in front of a blank computer screen for the first time and trying to write…something. 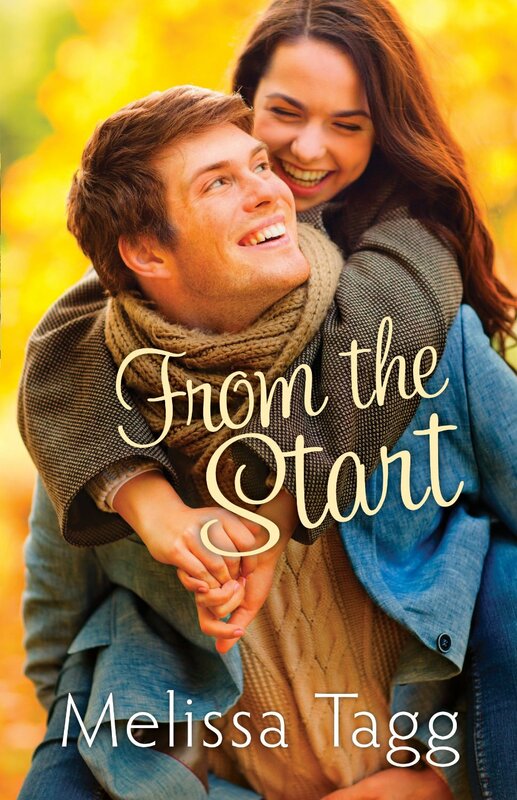 It’s a huge leap to go from reading inspirational romantic suspense to actually writing it. 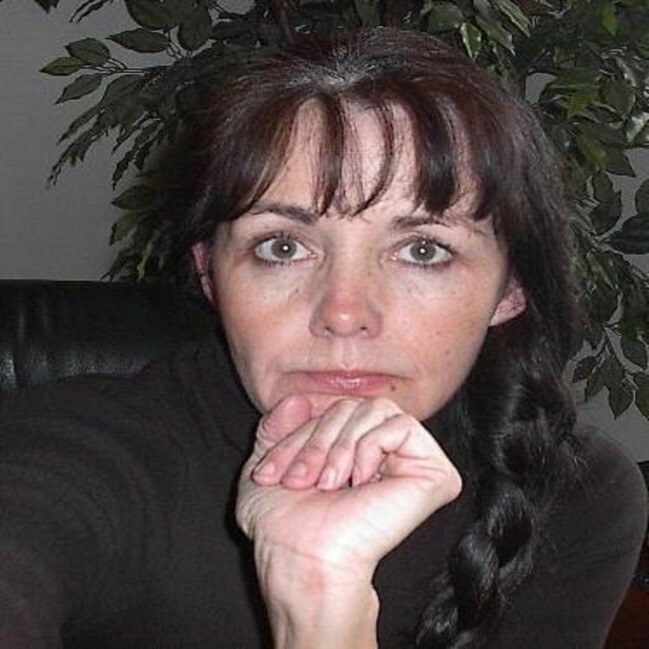 When I wrote my first story, I had no idea all the intricate steps involved in creating a suspense story, but I wrote, I read about my craft, and I found a great network of seasoned authors who willingly shared their knowledge. Practice, Practice, Practice: It you don’t use it you lose it. In other words, to improve as a dancer or a writer, you have to work through all the self-doubt and times when life gets in the way. 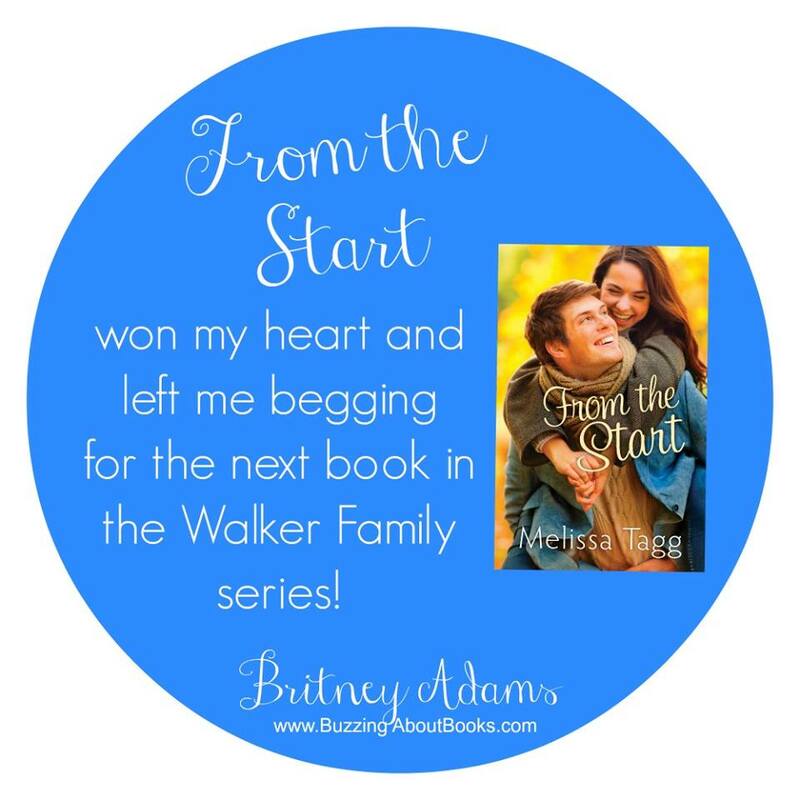 In the beginning, writing was a trial and error experience for me. I confess I tried other genres in the process before I came back to my first love, inspirational romantic suspense. Some wise author once told me, write what you enjoy reading and then perfect it. In other words, if you don’t read contemporary romance, then don’t try to write it. Submitting a manuscript the first time can be a frightening experience. After you’ve polished and perfected your baby, it’s time to send it out into the world and let it stand on its own. And that’s just the beginning. You wait and wait until one day you receive news about your baby. Only it’s not what you were hoping. The dreaded rejection letter arrives and it feels as if someone slugged you in the stomach hard. This wasn’t what I expected. 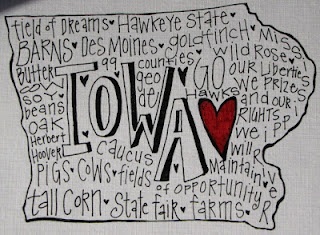 To quote my granddaughter, “Now what”? Well, some rejection letters are form letters. Those you file away. Others have comments from the editor who reviewed it. Those you can gain little pearls of wisdom to help you along your way…but you have to put aside your hurt feelings and listen. You can’t take it personal. Publishing is a business. A very hard one at that. It’s finally Showtime! What do you mean I’ll be dancing by myself? 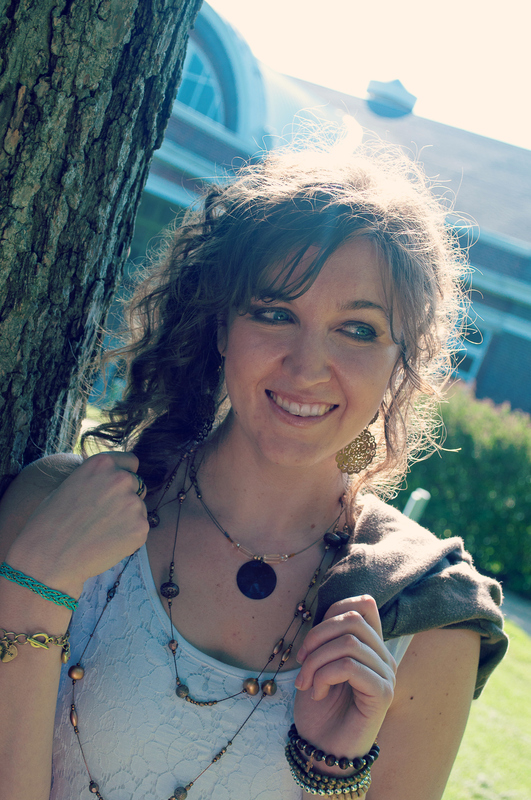 For me, ten years of writing came down to five minutes in the spotlight. 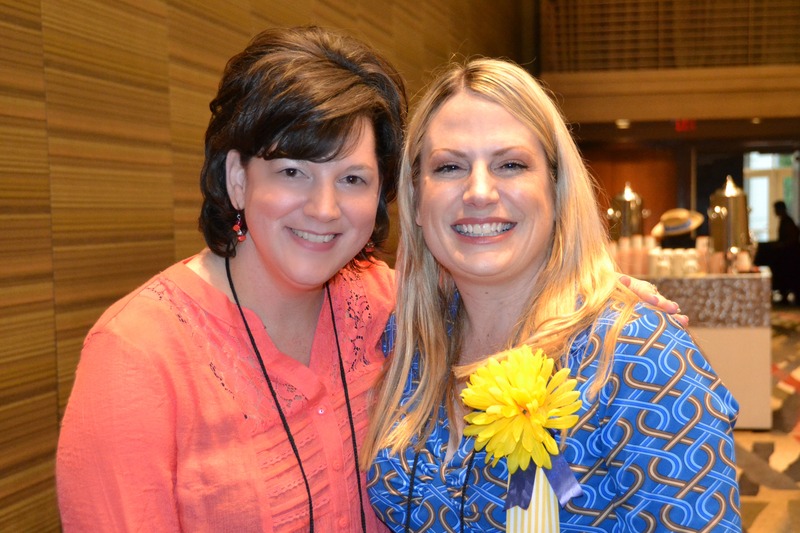 In 2012, I entered the Speed Dating Contest that editor Emily Rodmell hosted and I was one of the lucky ones who got an appointment to chat with Emily. On the day of the pitch, I was on vacation in Colorado. At our cabin, internet service is nonexistent. I could have given up and said, well, that’s it, better luck next time, but I didn’t. My husband and I drove into the small town of Pagosa Springs where I did the entire chat on my laptop in the parking lot of the Ace Hardware Store. Emily was kind enough to request a synopsis although I was so nervous she probably didn’t understand anything I told her. I promptly sent the synopsis out to her. Then she requested the first three chapters followed by the full manuscript. With each request, I tried not to get my hopes up. In December 2012, Emily called. To this day, I can’t tell you what she said to me other than that she wanted to buy FORGOTTEN PAST for Love Inspired Suspense. It was a surreal moment. One that still hasn’t fully sunken in yet. It’s a great feeling to have your dream become a reality and even greater to hold your book in your hands. 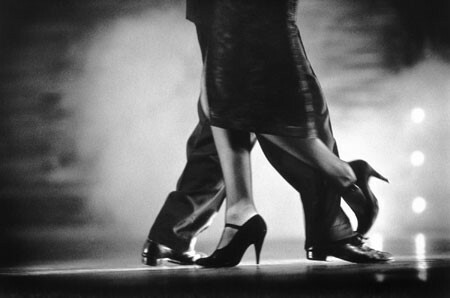 But Would There Be A Second Dance? 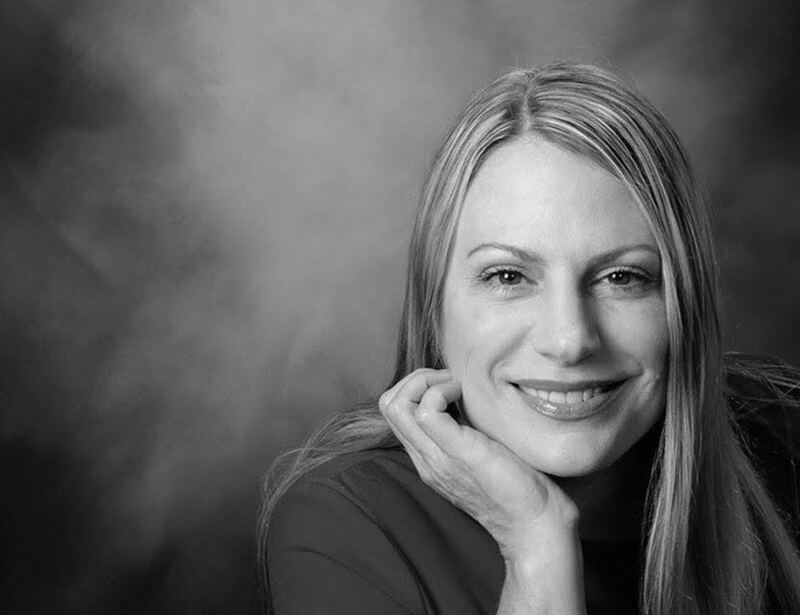 For most authors who have been published, selling the second book can be even more daunting. For me, the answer to that question was yes, there would be a second dance. ROCKY MOUNTAIN PURSUIT is available now! Everyone believes agent Jase Bradford is dead—everyone but Reyna Peterson. Only he can protect her now that someone wants the information her CIA husband died to secure. As the one member of their spy team not killed, Jase must remain in the shadows. Yet when Reyna leads the enemy right to his mountain refuge and blows his cover, Jase risks his life for hers. As his best friend’s beautiful widow scales the walls around his heart, whether out of loyalty or love, he makes it his duty to secure her safety. But when their pursuers trap them in the snowy Colorado mountains, will it become his final mission? So to quote Garth Brooks’ famous song, The Dance, “I could have missed the pain, but I’d have had to miss the dance”. 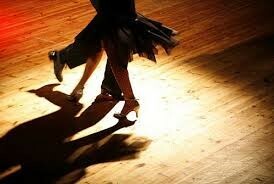 And what a dance it is. What about you? What dreams are dancing around in your head? Whether it is becoming a published author or something else, I’d love to hear how you’ve overcome the obstacles along the way to your Showtime? 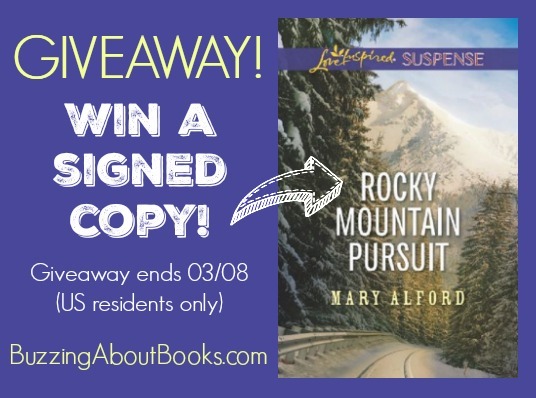 Thanks to Mary’s generosity, one lucky reader will win a signed copy of Rocky Mountain Pursuit! Leave a comment below, and be sure to include your email address. The giveaway ends Tuesday, March 8 at midnight CST, and a winner will be chosen and announced on March 9th. 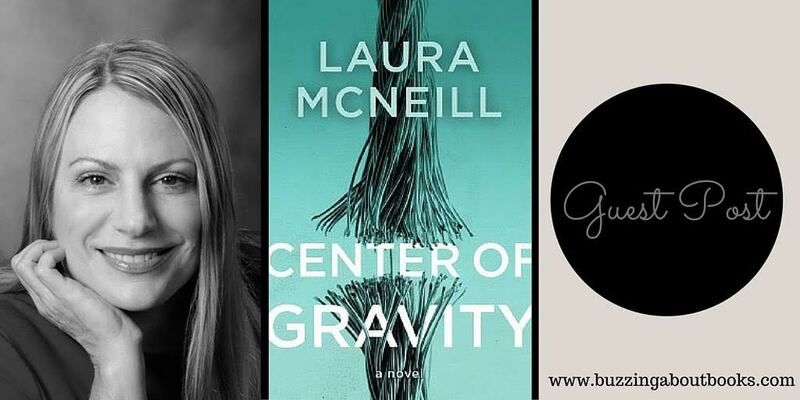 Follow this blog, Buzzing About Books, and/or share the giveaway. Be sure to let me know what you’ve done to earn additional entries! This promotion is in no way sponsored, endorsed, administered by, or associated with, Facebook. 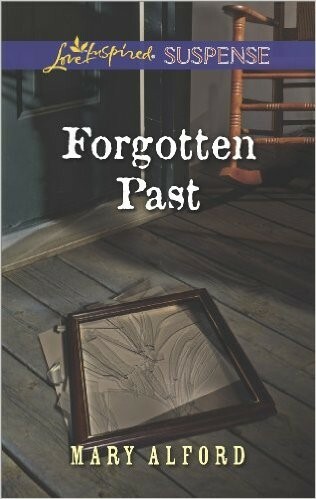 Mary Alford is a Texan whose debut novel, FORGOTTEN PAST is now available at Love Inspired Suspense. When Mary’s not dreaming up people in dangerous situations and writing them down, she’s also a mom, wife, grandmother, avid reader, a proud geek-girl. For occasional updates and news about upcoming publications, please go to the contact form on her website and subscribe to her newsletter!